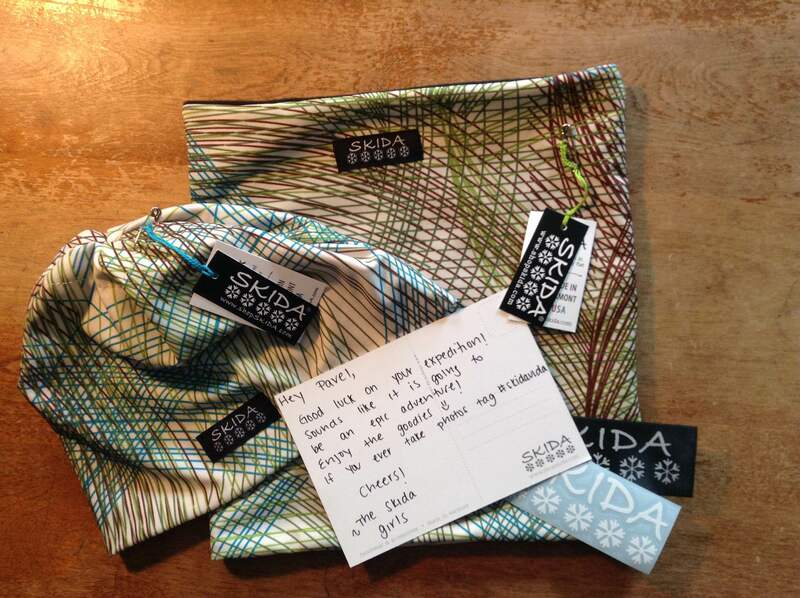 So stoked to find a goodies package from the folks at Skida in my mailbox today! Just in the nick of time for cold weather training & just the thing to keep me toasty in the Icelandic Highlands next spring. I truly grateful for Skida’s support. I love the look & feel of the Vermont-made Skida gear–so much so, we outfitted the Sterling College Nordic Ski Team in Skida hats last winter! Go Green!